Doughnuts are having a huge renaissance right now. Boston itself has a number of bakeries selling $4 doughnuts to doughnut-crazed customers. I mean, they're dessert masquerading as breakfast. They're deep-fried. They're portable. They're endlessly customizable. It's no wonder they're so popular now. However, I've never made my own doughnuts at home. My mom used to deep fry her own eggrolls, so I know firsthand how annoying it can be to fry at home. Not to mention, it's daunting to heat up a pot of oil to a temp that can sear your skin off, and what do you do with all that oil afterwards? I suspect this is also why so many people love doughnuts and are willing to pay $$ for them. Lara Ferroni aims to demystify the process here and make it approachable for the home cook. She is clearly passionate about doughnuts, and she has made it her mission to try every doughnut she can get her hand on, as well as recreate them at home. I'm grateful for all the work she did, because now we have this gem of a book. It's everything it promises to be. 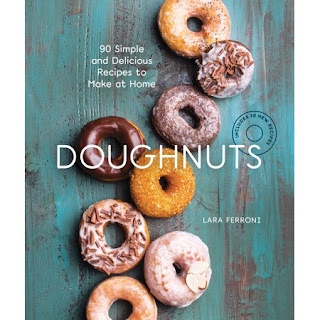 There are scores and scores of doughnut recipes inside, and true to the beauty of the doughnut, all the recipes are interchangeable to make even more flavors of doughnuts. 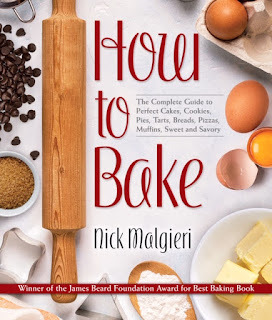 She starts with going over the basics of doughnut making, from making the dough, stamping out the adorable shape we know and love, and frying them to perfection. There are so many types of doughs, from your classic raised and cake doughnuts, to vegan and gluten-free versions of them so that everyone can partake. There's even doughnut recipes from around the world, such as malasadas from Hawaii, churros from Greece, and loukoumades from Greece. Don't want to deep fry? She also includes recipes for baked doughnuts, but she does warn that it would require a doughnut pan. That's just the beginning though. 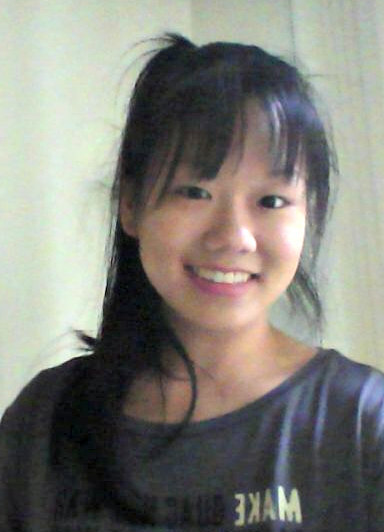 From there, she offers an assortment of flavors, both familiar and gourmet. The ones I immediately added to my to-make list? Ginger, carrot cake, pumpkin pie, and chai. What can I say? I'm in a fall/winter spice mood. Besides a killer selection of recipes, the cookbook is also so bright and happy. Best of all, there is a photo of each and every doughnut recipe. Beautiful, perfectly styled photos. Any cookbook that does this automatically wins big points. 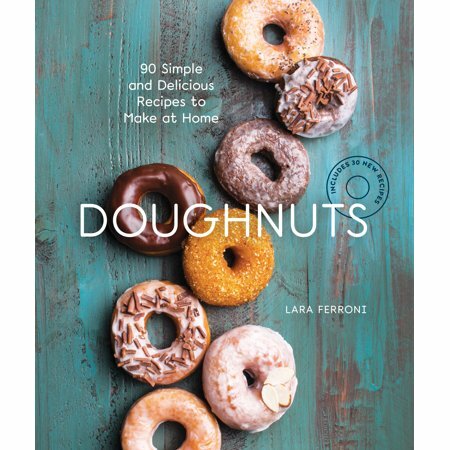 While this isn't a must-buy cookbook, it would make a fun project cookbook for yourself or any person who is crazy about doughnuts and wouldn't mind putting in a little more effort to make them at home.